Lysine is one of the amino acids, known as the building blocks of proteins. Because the body can't manufacture lysine, it's considered an essential amino acid and must be acquired through diet. Lysine plays a role in growth, as well as the production of carnitine, which turns fats into energy and helps lower cholesterol. It also assists in calcium absorption and collagen production. Collagen is responsible for keeping skin, bones, cartilage and tissues healthy. 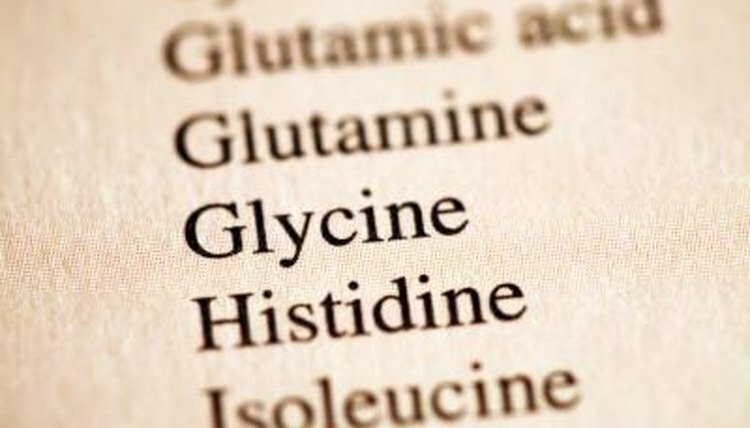 Diets with adequate protein should supply enough; however, animals with insufficient diets, certain injuries or diseases may benefit from lysine supplementation. Industries began adding lysine to farm animal feed in the late 1980s. Rising costs, increased demands for meats and changing feeding protocols have resulted in more supplemental lysine usage in farm animal feed. Adding lysine to their feed allows farmers to use lower-cost feed like corn, and still maintain desired growth rates and subsequent protein levels within their livestock. This is due to lysine's ability to help convert these foods into useful proteins within the body. Lysine also has some therapeutic uses. It can prevent herpesvirus from growing, and can reduce the severity, healing time and recurrence of the virus. Animal forms of herpes include rhinopneumonitis, rhinotracheitis virus and feline herpesvirus type 1, a common cause of respiratory infections in cats. In dogs it's called canine herpesvirus, which may not cause symptoms in affected adult dogs, but is a leading cause of death in newborn puppies. Lysine is taken as capsules, tablets or liquid, and topically as a cream. Dosage is catered to an animal's weight. Researched dosages reflect 12 milligrams per kilogram of body weight, and skin cream application every two hours for up to 11 days. Long-term doses can cause gallstones or kidney problems, and supplementation shouldn't last more than a year. Because lysine increases calcium absorption, monitor your animal's dietary calcium levels. Consult with a veterinary nutritionist before beginning an animal on lysine.